I was soooo excited to see Candice Fox was to release a new book. I must admit to being a teeny weeny disappointed to find out that it is NOT an Archer & Bennett but still… It’s a must-read. If you love crime novels, Candice Fox’s books are must-reads! Despite being told that this is her best book yet, I can NOT make this distinction. I love ALL her books fairly equally and they are ALL my favourites. The mysteries are terrific but the characters and what she made them go through are just mind-boggling. They are fragile. They are broken. They are survivors. Ted Conkaffey is hiding. He’s tired and he’s sad. He has had no choice but to accept what fate has dealt him to date. The geese found him. Amanda baffled him. Her cases interest his mind and his brain geared up to put these puzzles together. Maybe there is something else he could do even now… Despite being told from Ted’s perspective; Amanda completely took over the whole book. Maybe we’ll have her perspective in the next book? Aside from these amazing characterisation, I also love Fox’s prose; the way she draws you to the characters then the setting and then weaves tangled weave of mysterious circumstances which leave you guessing ‘til the end. Crimson Lake, with its tightly developed plot, unique characters and a snapping end, is a thoroughly enjoyable read. 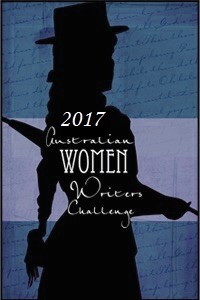 This entry was posted in Australia, Australian Author, crime, Reviews and tagged #aussieauthor, #aww2017, #candicefox, Australia, crime on 10/02/2017 by Tien.